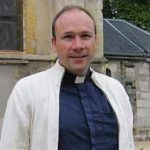 Terrorist group likely abducted French priest in Cameroon for helping Nigerian refugees. WASHINGTON (Morning Star News) – The same day Islamic extremists from the Nigerian rebel Boko Haram abducted a French priest in Cameroon, Nov. 13, the U.S. State Department designated the group a terrorist organization. After more than a decade of increasingly sophisticated violence by Boko Haram, the designation of it and its sister organization, Ansura, as Foreign Terrorist Organizations comes just as Boko Haram’s international nature becomes more apparent. With some members coming from Cameroon, Chad and Niger, Boko Haram has grown into a heavily armed militia with ties to Al Qaeda that some fear could become a threat beyond Nigeria’s borders. Its stated objective is unequivocally limited to Nigeria – to establish strict sharia (Islamic law) throughout the country, and even the Nov. 13 abduction of the Rev. Georges Vandenbeusch was likely rooted in the aid he was giving Nigerian refugees fleeing Boko Haram violence. At the same time, the U.S. designation could help bring international engagement as the group’s fire-power increases from machetes in 2002 to machine guns, grenades and roadside bombs today. The FTO designation makes it unlawful for any person or financial institution in the United States to knowingly provide material support or resources to Boko Haram. The State Department can also encourage other governments to block finances for such organizations, and the designation bans their members from travel. “I believe the administration did not want to acknowledge during the period of the campaigns that Al Qaeda’s presence in Africa is strong, and so I think they waited until after the elections to do it,” Shea told Morning Star News. Augustine Fonka Awa, governor of Cameroon’s Far North Region on the border with Nigeria, reportedly also believes the abduction of the French priest came in retaliation for his support and care for the Nigerian Christian refugees. “We suspect that he was being blamed by Boko Haram Islamist rebels for hosting some Nigerian people who escaped the attacks in their country,” Awa told the Nigerian Tribune. Although Boko Haram has claimed responsibility for the abduction of Vandenbeusch, neither Cameroon nor the French government has established contact with him or his captors, sources said. Gunmen broke into the church home of Vandenbeusch in Nguetchewe, 10 kilometers (six miles) from Cameroon’s border with Nigerian, and took him away in the night. They have demanded an unknown ransom amount. Monsignor Gerard Daucourt, bishop of the diocese in Paris where Vandenbeusch had served until he came to Cameroon in 2011, said last week that the priest’s briefcase was found on a road with only a checkbook inside it. Vandenbeusch had been warned of the dangers of his work and abode, but “he chose his service above his life,” Henri Djionyang, vicar-general of Maroua, capital of Cameroon’s Far North Region, reportedly said. Boko Haram, the name residents of Maiduguri, Borno state originally gave the group that calls itself “The Congregation of the People of Tradition for Proselytism and Jihad” (from the Arabic, Jama’atu Ahlis Sunna Lidda’awati wal–Jihad,), has killed thousands of civilians, including hundreds of Christians. U.S. President Barack Obama has described Boko Haram as “one of the most vicious terrorist organizations in the world.” The State Department’s 2012 Terrorism report ranked it the second deadliest terrorist group worldwide, after the Taliban. The same day Vandenbeusch was kidnapped and the State Department designated Boko Haram an FTO, the U.S. House of Representatives’ subcommittee on Africa heard testimony from Habila Adamu, the sole survivor of a Boko Haram attack in Yobe state in November 2012. The first victim of the Nigerian Islamist terror group to testify before the U.S Congress, Adamu described how Boko Haram assailants asked him if he was a member of the police or military, to which he answered he was not. “Okay, are you a Christian?” they asked him. They left him for dead; he miraculously survived. © 2013 Morning Star News. Articles/photos may be reprinted with credit to Morning Star News.